Georgia: Nice to meet you Shelley. Tell us a little about Penny Street Boutique, did you set it up yourself and when did you open? Shelley: Yes, it was November last year I opened, simply because I couldn’t find a job myself. I was originally going to open a perfume shop because there aren’t any in Lancaster but to stock a shop this size would be thousands of pounds so I started looking at clothing instead. G: A much better idea! And what was your vision for it, who exactly is your target audience? S: Women and girls my own age probably, but I occasionally get seventy year old ladies coming in and my mum is sixty and she buys a lot! On the other hand, I also have thirteen year old girls come in who I think just want to look a bit older. G: Oh I remember that phase! What is your favourite piece in the shop at the moment? S: I love this black leather jacket or these furry gilets. G: I was eying that up myself. If there is one staple piece you think every girl should have in her wardrobe though what would it be? S: A little black dress, definitely. I find it really hard when I stock the shop every couple of weeks because I have black wallpaper and I have to remember not to buy everything in black because it makes it so dark in here! But yes, everyone should have a little black dress! G: Can customers browse your shop online? S: Sadly no, I like to keep it all in the shop because I only get one piece of every size. It’s very boutique so that you won’t see anyone else wearing the same outfit. G: Brilliant, where do you get your stock from then? S: Mostly in Manchester at buying events from several different brands. They might not be designer brands but they’re all very good quality. G: Have you ever thought about holding any events yourself? S: I’ve done a couple of student fashion shows but I didn’t really get anything back from them. I printed off lots of vouchers for students that attended, there was one at Oscars and one at the Apothecary, but I didn’t have one person come in which is sad because we has such brilliant feedback on the night. G: That’s such a shame. Do you think that’s because students are unsure where you are? G: And did they find one? S: They did! They had been everywhere and then finally came to me and wondered why they hadn’t come here first! 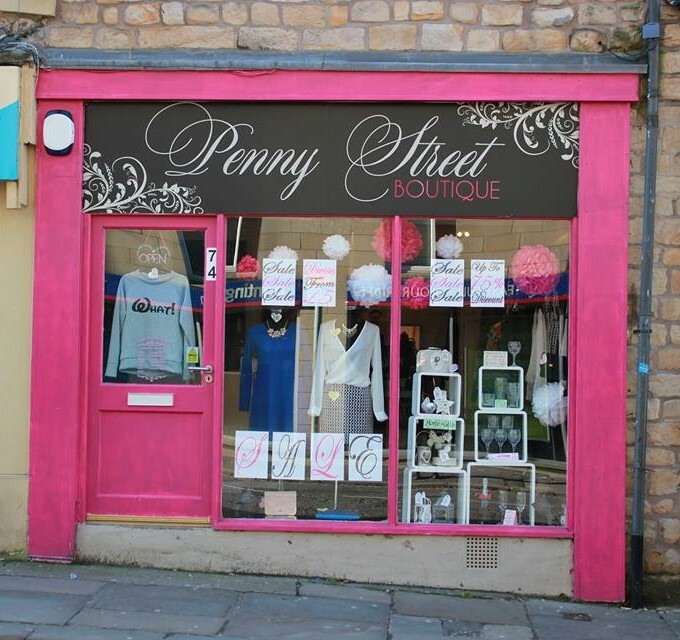 Want to visit Penny Street Boutique and support Lancaster’s local businesses yourself? Shelley has kindly offered a 25% discount on all full price items for students who mention this interview. What better an incentive to shop!